Wow, you are good ! I also have the Plus now, and I could be a tester, too. I had a hard time getting my MacBook Pro with Android File Transfer to see my new Nook, but I finally succeeded. Then I tried Calibre. I got a "failure to communicate" error message from Calibre. I persisted and tried to send a book to the Nook. Calibre couldn't see the book on my Nook. However, it showed up in the Nook library after a few minutes. I also noticed that I can't create a new folder on the Nook using Android File Transfer. I only mention these things in case they might give someone else a clue in figuring out a rooting process. So, to let the cat out of the bag, getting a root console connection to the new Nook Glow Plus is quite easy. There is a connector location, J4, which is quite clearly labelled with the pinout. The output is 115200-8-N-1 on a 3.3V signal level. TX refers to the output of the Nook, RX is the input, connect up ground, leave the V alone. it's not anything related to a 9 pin RS-232 signal without a converter. Then you will have (unrooted) ADB over USB, which is still useful to load things. Those who don't want to scuff up their new Nook would do better to wait a bit. I've been following this since I heard that a new nook is available. 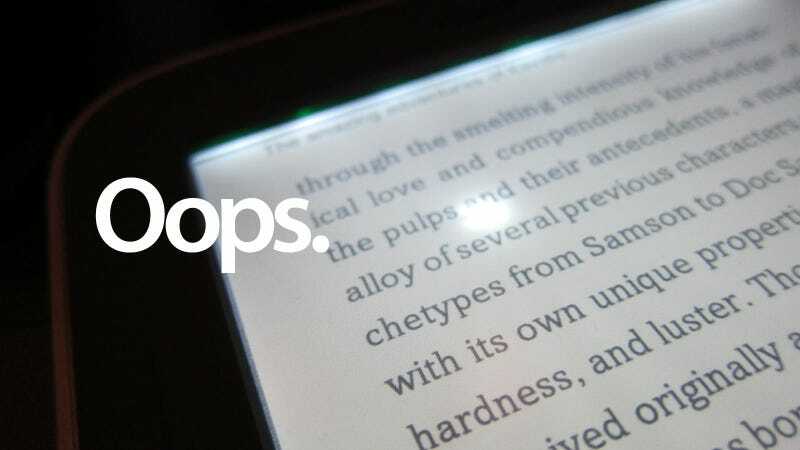 Funny that I stumbled over the waterproof Kobo h2o a week ago and thought, I could get me a new ebook reader (I had a couple of Sonys and then switched to LCD tablets). I just don't know if I should jump the gun and get one or if I wait until I see what you all can achieve. Tinkering with my toys is important to me, but loosing the waterproofing due to opening would be a bummer. BTW, how does that aluminum shell feel. I like the front looks of the nook, but am not too convinced about the aluminum back. Getting new toys is just too tempting. I've thought about the latter problem of reassembling the Nook. The edging is a double-stick foam tape. That's easy and convenient for the factory assembly. You could just press it all back together and it would be 98% so waterproof as before, there's a lot of stick still left. You could also clean all the tape off and put this back with a thin bead of silicone caulking. This would actually be better waterproofing and not impossible to re-open your Nook. Here's the internal memory layout. The good news is that there is no UMS and therefore no division of the useful space. I tried, but I don't think that there are any UART muxes on the micro USB. There are only two things I'm waiting on before I upgrade from my beat to heck Nook Simple Touch. 2) I would like to know if the issues with the glow light have been resolved. I've actually been looking for a new e-reader for a few months now, but couldn't find anything I liked on the market. 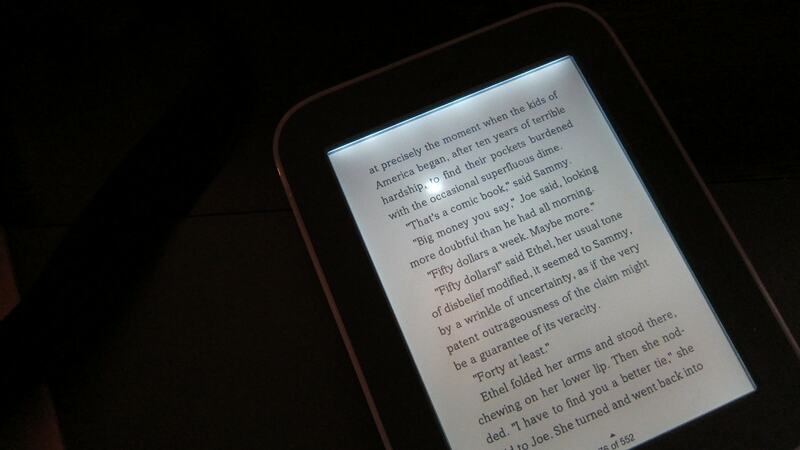 But a Nook Glowlight with Android 4.4 + water resistant + metal case? I'm in . You should see the gouges my poor old NST's screen has lol. Thanks for your work so far Renate. That's for you to wire in your GPS to make a really cool hiking map. This gets rid of the forced registration screen. There is a launcher installed, but the HOME intent was removed from the manifest. Install your own favorite launcher and it will reboot on that. and now I have the basic NGP that allows me to read the library book that I was reading. That's the main point of this exercise.